Home Foreign Policy Israel Military Nuclear Powell Acknowledges Israeli Nukes - 200! 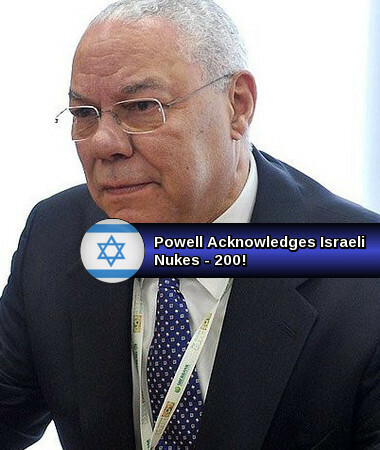 Powell Acknowledges Israeli Nukes - 200! OWON: If this is true. Why has a Terrorist Kazakh Dog illegal nation like Israel got over 200 Nuclear bombs, while Iran has one? And Aby Dhabi is negotiating with IsraeHell for illegal supply of nukes. IsreaHell has already threatened to nuke the EU if attacked. Why is this Terrorist Rat Pack not disarmed? IsraeHell is a worse threat then ISIS. A murderous land stealing nation destroying cell of Genghis Khan scum. Pity the poor Jews who always lived in peace before this vermin was poured in, unwanted by Europe or the US, the poor Palestinians has a nation stolen. Now they want to steal half the Arab world. Hopefully China and Russia arm Iran. So much for trusting US Leadership. Who funds and arms this terrorist rat pack? Lose the illusion. According to hacked emails reviewed by LobeLog, Former Secretary of State Colin Powell acknowledged Israel’s nuclear arsenal, an open secret that U.S. and Israeli politicians typically refuse to acknowledge as part of Israel’s strategy of “nuclear ambiguity.” Powell also rejected assessments that Iran, at the time, was “a year away” from a nuclear weapon. The emails, released by the hacking group DCLeaks, show Powell discussing Israeli Prime Minister Benjamin Netanyahu’s controversial speech before a joint meeting of Congress with his business partner, Jeffrey Leeds. Powell responded that U.S. negotiators can’t get everything they want from a deal. But echoing a point that many Iran hawks have questioned, Powell said that Israel’s nuclear arsenal and rational self-interest make the construction and testing of an Iranian nuclear weapon a highly unlikely policy choice for Iran’s leaders. Negotiators can’t get what he wants. Anyway, Iranians can’t use one if they finally make one. The boys in Tehran know Israel has 200, all targeted on Tehran, and we have thousands. As Akmdinijad (sic) [said], “What would we do with one, polish it?” I have spoken publicly about both nK and Iran. We’ll blow up the only thing they care about—regime survival. Where, how would they even test one? 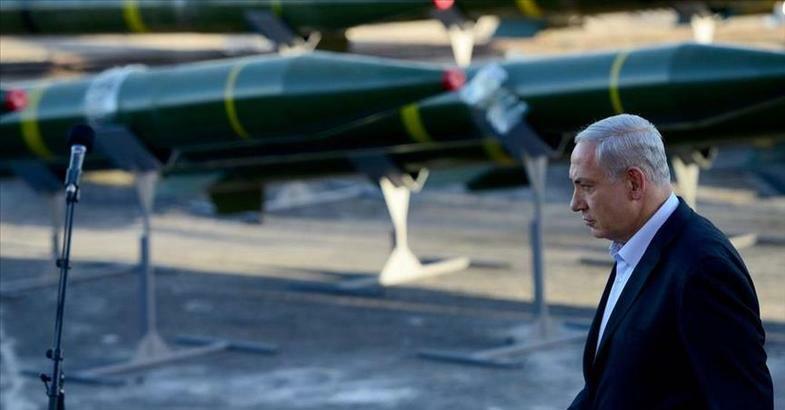 Israel, which isn’t a signatory to the Nuclear Non-Proliferation Treaty, has long maintained ambiguity about the size, and even the existence, of its nuclear weapons program. Well, that certainly is a frightening situation. I do hope to see these terrorists reigned in and placed under control before chaos breaks out. It angers me that they think they have one set of rules for themselves and everyone else has a different set. And they flaunt it so brazenly. They need to be dealt with in a swift and harsh fashion in my opinion.